Uniform is an important part of school culture and identity. It ensures that all students get a level playing field with regards to clothes and gives the school a unified appearance when out in the community. The wearing of the correct specification uniform is compulsory for all students whilst on College premises or on excursions. Yes. School uniform of the correct specification is compulsory for all students. Students who join Lavers Hill College from other schools are permitted to wear their old uniform for a maximum of one semester, until they are able to source the correct uniform. When should school uniform be worn? On school premises and on official excursions (unless exceptions are made by staff). What if I get cold during the day? You can wear fleece vests, jumpers, sweatshirts, hoodies or blazers of the appropriate type & colour indoors. The wearing of hats or hoods is not permitted in class. The wearing of wide-brimmed or bucket hats outside is compulsory in terms 1 & 4. Do I have to purchase school uniform from the College? No. You can source uniform from anywhere but it must conform to the specification, and must not have non-Lavers Hill College logos, other branding, or design patterns such as stripes. 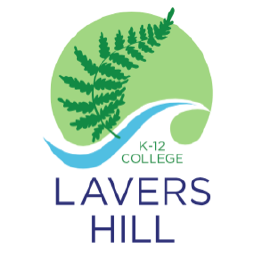 Uniform purchased through the school will have the Lavers Hill College logo, where possible, and will be sourced from suppliers who we think sell quality & durable items. To ensure consistency, items indicated* must be purchased via the school. We would prefer black shoes, but whatever you wear must have non-marking soles. Definitely no gumboots, thongs or Ugg boots indoors. When representing the school at external events, shoes must be black or neutral colours. What are the penalties for not wearing the correct uniform? See the Student Engagement Framework. Why is Lavers Hill College so strict on uniform? It’s not. Compared with other schools in the district our uniform specification has more options, is more relaxed, and its implementation is more flexible.